Pozi: PZ1, 2x PZ2, PZ3. Star: T10, T15, T20, T25, T30. 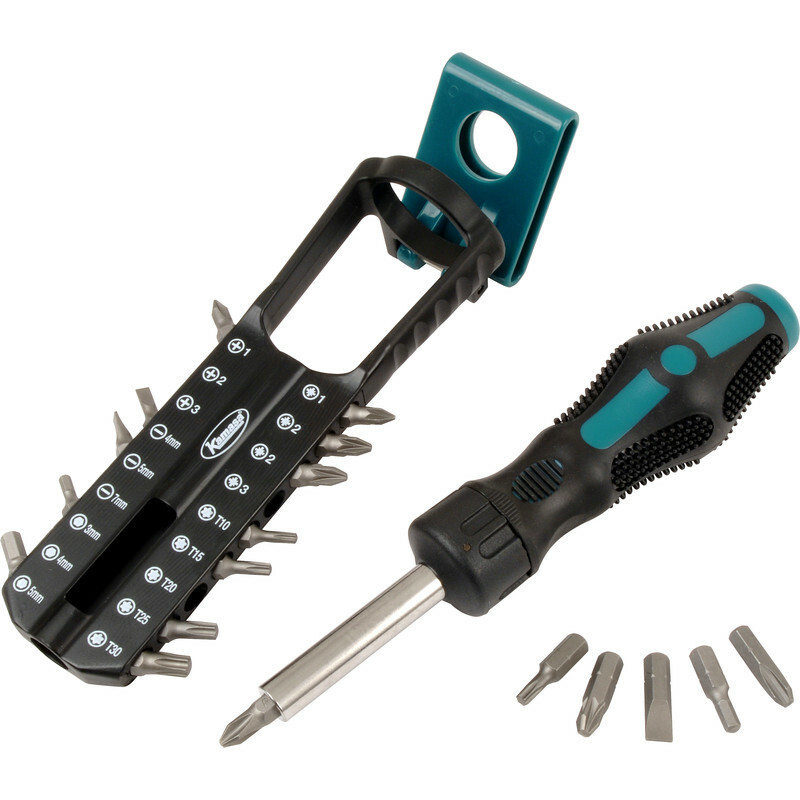 Kamasa Ratchet Screwdriver Set (19 Piece) is rated 3.8 out of 5 by 10. Rated 2 out of 5 by Spoonie from Didn't last long I used this about a dozen times before the wheels came off. There is a bezel at the top of the shaft that worked its way loose. I kept on tightening it this up but eventually it came loose and the bearings fell out. Also the handle could do with being more bulbous as it dug into my palm when tightening. Ratchet action is fine though and there are loads of bits. Not sure if I'll need most of them however. Rated 1 out of 5 by DIYDunce from Poor quality Last one week of intermittent use before it self destructed. Rated 3 out of 5 by mark the man cleaner from not that bad I got this as a spare and it comes in very handy.